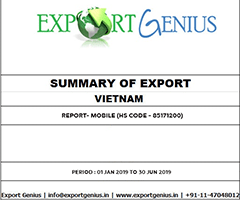 Track each & every shipment Details which comes into OR Goes out from Vietnam. Want to know where your competitor is shipping OR Imports from? clothes, shoes, electronics, seafood, crude oil, rice, coffee, machinery, petroleum products, steel products. 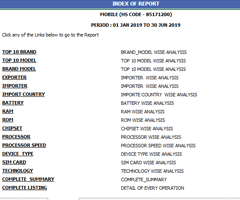 Check out some screenshots of our Reports. Click on image to see in full Screen. 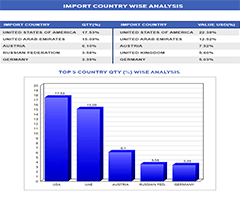 We Provide Import Export data & Trade Information of Vietnam which can help you in many ways. You can find Actual Importers, Exporters, Manufactures of Vietnam. 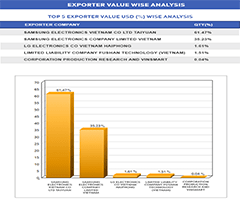 we cover all commodities data which is exported or Imported into Vietnam. 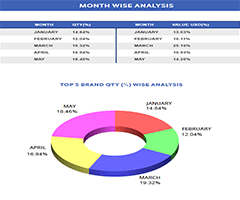 We provide you decision making information so you can determine what factors drive success in Vietnam Market Place. Stay Ahead with your competitors by tracking their shipment details. Know where your competitor is shipping & who is their buyer. If you Import from Vietnam or Export to Vietnam. 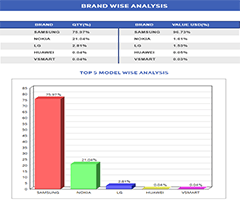 Our data helps to find reliable buyers and suppliers in Vietnam.